Earl Shilton Building Society has given its backing to a local disability group raising money for a summer excursion. Barwell and Earl Shilton Disability Group, a self-funded organisation which caters for adults of all ages with a wide range of additional needs, keeps its members as active as possible whilst also giving them an environment in which to socialise. The group’s organisers are planning a trip to Trentham Gardens, near Stoke on Trent, and are attempting to raise the £586 required to hire an adapted coach and pay members’ entrance fees. Funds donated by the Society, which has a branch in Barwell, will be used to cover part of the expenses incurred in organising the outing. Bob Lucas, Barwell and Earl Shilton Disability Group’s Treasurer, said: “We are very grateful to Earl Shilton Building Society for their generous donation, which will allow a number of local disabled and elderly residents to enjoy a day out and provide them with an opportunity to meet new people. “Our group has been active for over 30 years and helps ensure its members, many of whom are widowed or living alone, retain a connection to their local community. 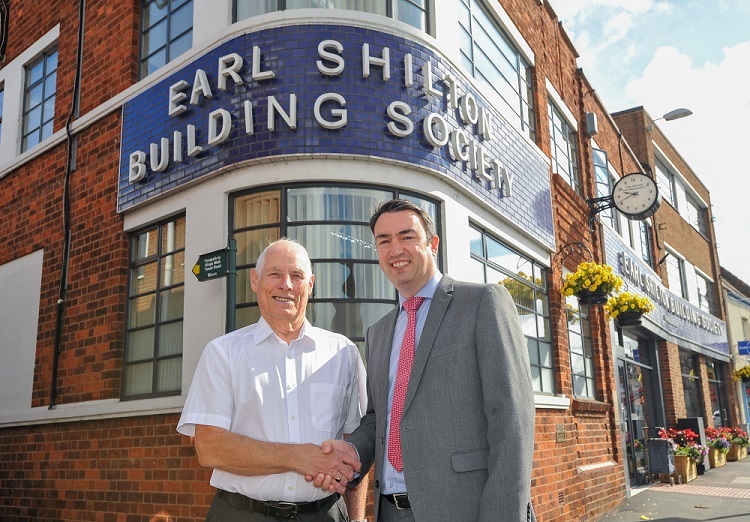 Paul Tilley, Chief Executive of Earl Shilton Building Society, said: “Mr Lucas and his colleagues at Barwell and Earl Shilton Disability Group play an important role in our local community, keeping their members at its heart rather than feeling excluded.